According to the OCS, complaints were made regarding mouldy products from licensed producers. “The OCS works only with licensed producers authorized by Health Canada, and they are required to test their products for mould and other microorganisms, and to package products in sealed containers prior to delivery to the OCS,” it said in a statement to Daily Hive. The issue was made public on a Rreddit thread, that featured a photo of the mouldy product. The poster identified the exact product, and the licensed producer, which is RedeCan. They did contact OCS regarding the mould, and said that they’re going to refund them and charge no shipping on their next order. Others said they checked similar batches of the same lot, with no mould in sight. 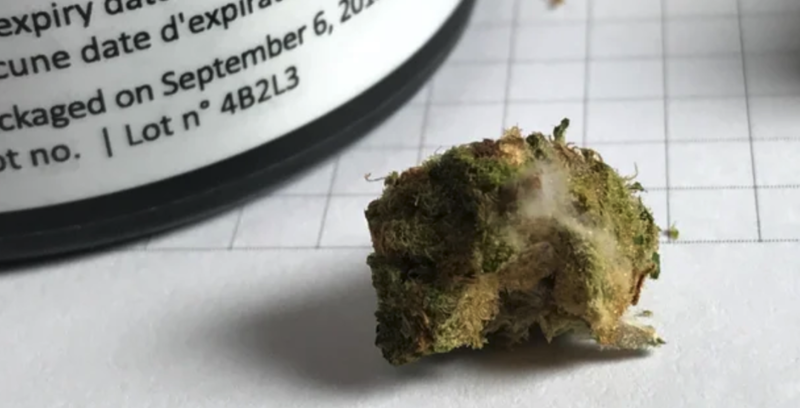 On Thursday afternoon, RedeCan confirmed that the reports of the mould are limited to a single lot of a particular strain called “B.E.C.” and packaged in 3.5 gram bottles. It also said that there has been no other reports on any other products. “At this early stage in our investigation, it is not a simple matter to determine how, when or why mould could have appeared in five bottles in a single lot,” reads the company’s statement. It said its investigation is ongoing. At this time, no recalls have been issued. For other customers who do find mould, or any other problems with legal cannabis products, contact the OCS to arrange a full refund. Customers are also able to contact Health Canada to file complaints.